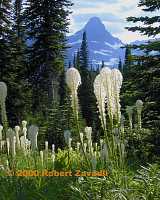 This site is dedicated to a collection of extraordinary photographs and pictures taken in and around Glacier National Park. Glacier National Park, known as the "Crown Jewel" of the National Park System, sits astride the Continental Divide in northwestern Montana. 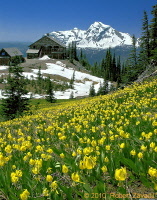 While hiking, the visitor to Glacier National Park is treated to countless mountain peaks, alpine lakes and glaciers, and astounding displays of wildflowers. Please wander through the galleries below, especially the gallery of rare panorama pictures of the Park. Copyright, 2001-2013 Robert Zavadil. All rights reserved. All of the photos have all rights reserved worldwide. No form of reproduction, including copying or saving digital files, or the alteration or manipulation of said images is permitted without the express, written permission of Robert Zavadil. We hope you enjoy these images online, but please don't copy, print or distribute any of the images without permission.